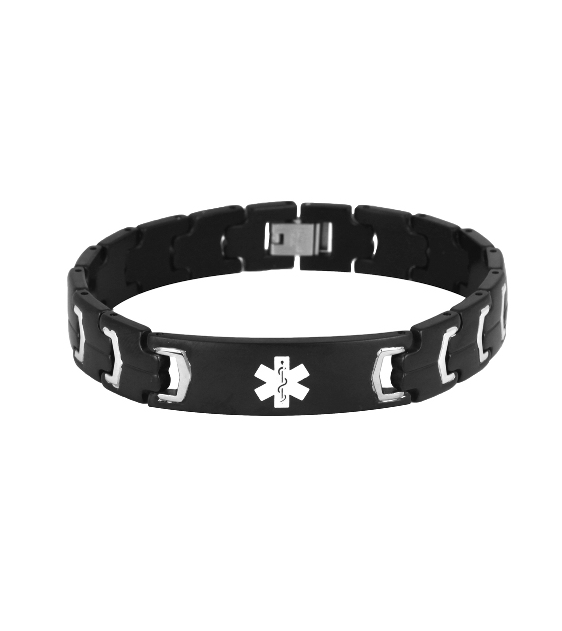 The Futura Link black stainless steel medical ID bracelet features a white enamel medical alert symbol centered on the front. Bracelet is approximately 1/2 inch wide and available in several sizes. Medical wallet card included. May be engraved on back. Bracelet is also available in silver colored and in gold plated stainless steel. One of the best investments in my health! 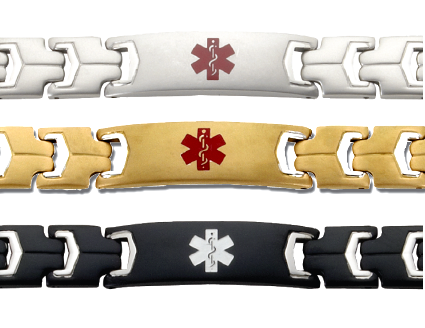 The high quality bracelet is not easily identified as a "medical" bracelet to the normal person. This was important to me. Medical personnel easily and quickly relate to it's identity. Everything from the ordering process to delivery was very easy with Elegant. They delivered what was promised in a timely manner. I would HIGHLY recommend ordering any and all medical needs! No stress here! 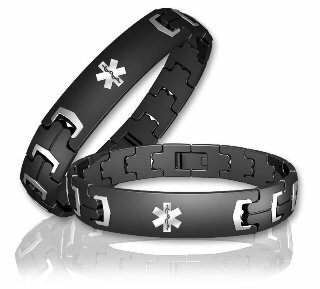 Never did I every imagine I would be shopping online for a medical bracelet for myself! The entire thought was revolting. When I found Elegant Medical Alert, I was amazed that I could find something that could be fashionable, classy and informative in case the information was needed. I did not ask for a rush, but my bracelet arrived within a week, all engraving perfect. I was very surprised at the quality. I don't feel like I am wearing one of "those" bracelets, and it is not an embarrassment to have someone point it out. I have found that I am comfortable to explain my bracelet when asked, and people are surprised to find out that it is not a "fashion" piece. Thanks, EMA, for making a very uncomfortable situation for me, very easy, fashionable, yet potentially critical for a life saving episode. 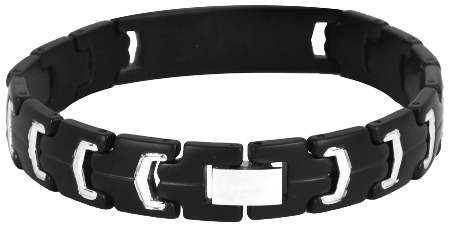 This is a good looking bracelet, very stylish. The only thing I did not like about it is that a few months after buying it, the med alert symbol on the front of the bracelet fell off. Turns out is is a sticker. Now just looks a regular bracelet. NOTE FROM ELEGANT MEDICAL ALERT: The medical alert symbol is not actually a sticker, but enamel. Under normal conditions the enamel should not peel off. However, if it does, we can have the bracelet re-enameled or would be happy to re-do a new bracelet for you.